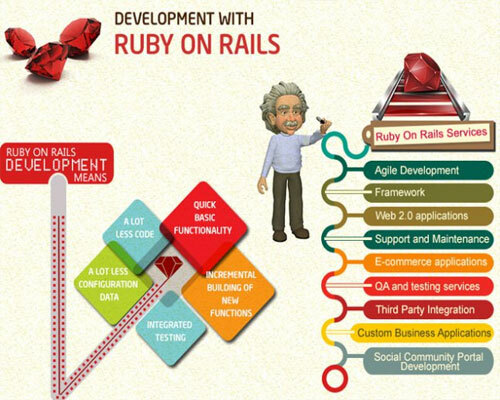 In the arena of web development, Ruby on Rails is currently the most popular free open source MVC framework for web development which is based on Ruby programming Language. ROR enables developers to create data-driven web apps which are building new avenues for web programmers. Considered as one of the simple and efficient dynamic programming language, some of the fortune 500 companies of the world are using ROR for their new projects. This programming language’s agility offers higher productivity compared to Java and .Net web development platforms. At IDEA TSPL, our pool of skilled Ruby on Rails web developers deliver sustainable and scalable solutions by creating custom applications suiting your business needs. With the best industry practices and technological know-how, we offer better mechanisms and features to enhance your website.